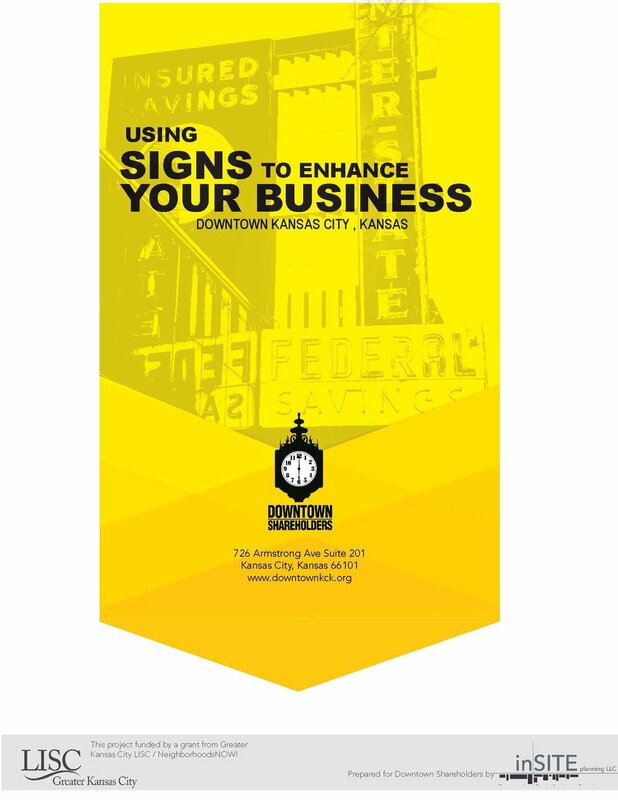 We're pleased to offer Downtown Kansas City, Kansas businesses and its membership the following toolkits. Each of the toolkits reflects extensive staff and stakeholder review, as well as technical knowledge about the public review processes that local businesses and property owners have to navigate as part of the Downtown development process. Each toolkit contains detailed information drawn from Unified Government zoning ordinances and related materials, along with charts, renderings, maps, and photographs that help to clarify and explain Unified Government zoning, code enforcement, and other development and signage regulations to property owners and businesses. If you have questions, please contact Daniel Serda, Ph.D., Downtown Shareholders Economic Development Coordinator, at (913) 608-9930. This toolkit outlines signage zoning requirements in Downtown, and it offers some practical guidance on best-practices and visual examples of sign types. This toolkit outlines the market in Downtown. Use it to learn more about economic development, business recruitment, and the Downtown Master Plan. This toolkit outlines Downtown development. 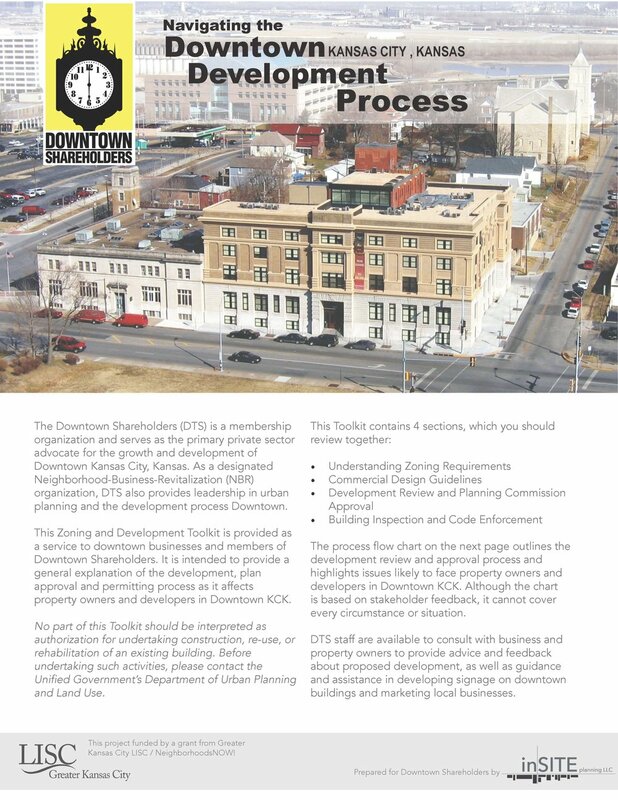 Use it to learn more about how to navigate the development process in Kansas City, Kansas.